Sometimes, we find a look so good we just want to live in it for the rest of the season. 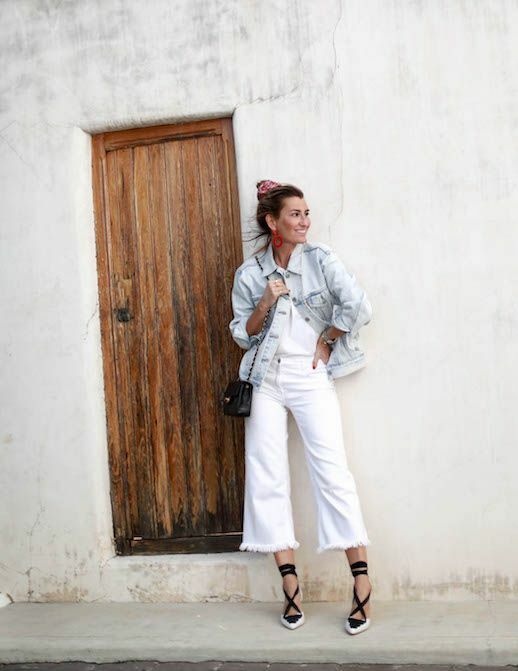 This fashion blogger provided us with that by pairing a light wash denim jacket over an all-white ensemble. This look would be basic if it weren't for the showstopping cropped, wide leg, raw-hem jeans and strappy pumps and red statement earrings. We're into it.